Life, the universe and everything are not typical subjects for primary school pupils, but ones that could be put to some in south Wales. Philosopher Leighton Evans, 29, aims to hold talks on how to think rationally to children aged seven to 11. The teacher-trained thinker is studying at Swansea University, a world centre for the study of Wittgenstein. Mr Evans said philosophy can add "an extra dimension to children's education that I would have found brilliant". Experts say philosophy can be described as rational investigation of existence, ethics and knowledge. Mr Evans, from Glynneath, works for an educational service provider called The Philosophy Shop which has been engaging with primary school children in Lewisham, London, since 2002. 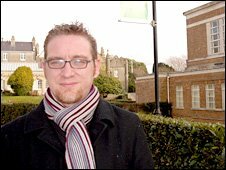 Brought up in Carmarthenshire, Mr Evans graduated in philosophy and psychology from Swansea University and did an MA in philosophy at the University of Lampeter. The Philosophy Shop has approached schools across south Wales offering Mr Evans's expertise for those that want to add an element of philosophy to their curriculum. None have so far taken up the offer, which would see schools paying between £25 and £50 an hour., however the company is already operating in London and some other parts of the UK. Mr Evans said: "The group is well suited to this type of thinking. They are not burdened by the subject knowledge they are going to gain through school. "It's very hard once you get to 16 to think philosophically because you are encumbered with facts. "It offers something radically different from everything else, but it can help with everything else - you learn to question, to think in different way about things, it has helped kids with lateral thinking." Mr Evans said one technique he used was to show a clip from the film Spider-Man in which a character poses the notion that "with great power comes responsibility". He said: "Children seem to know the answers but it's great to see it teased out of them." Mr Evans follows in the footsteps of one of the 20th Century's greatest philosophers, Austria-born Ludwig Wittgenstein, and a connection with Swansea that goes back to the 1940s. Wittgenstein, a one-time primary school teacher, was a driving force in developing the "ordinary language" or "linguistic" school of philosophy. One of his former students at Cambridge, Rush Rhees, was a lecturer at Swansea and Wittgenstein used to holiday with him. Swansea University's School of Humanities is a world centre for papers on Wittgenstein, based on the archive of Rush Rhees, who taught at the university for 26 years. Lecturer Dr Ieuan Williams, who taught Mr Evans as an undergraduate, said: "Wittgenstein frequently said that children were natural philosophers in that they ask important questions about the world and about human life and morality. "Leighton's work with the Philosophy Shop is clearly influenced by the Swansea tradition and represents an important development of Wittgenstein's insight." 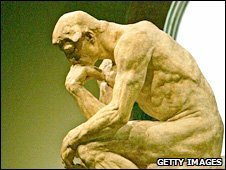 A Welsh Assembly Government spokesperson said: "Philosophy is not a national curriculum subject but some schools with a particular interest may offer it. "Work on developing thinking supports the Welsh Assembly Government policies to focus on the learner and on skills. "It is up to individual schools to decide the approach they wish to follow."